What Are Addends in Math Addition Problems? How do I Find the Sum of Numbers? In mathematics, a number series can represent many different things, from function domains and ranges to important informational systems' data. Typical operations performed on series of numbers include mean and median calculations and pattern recognitions. Different techniques of simple number summation have been developed to avoid having to laboriously add each number to the previous discovered sum. Methodologies rely on basic characteristics of number sets, including patterns of consecutive numbers and steady growth. Write the list of numbers on one line. For example, if the numbers are one through 10, write out the numbers one through 10. On the line underneath, write the numbers out in reverse order. Add each two-tiered column of numbers. The sums should be the same. Adding one and 10 together should yield 11. Adding two and nine together should also yield 11. 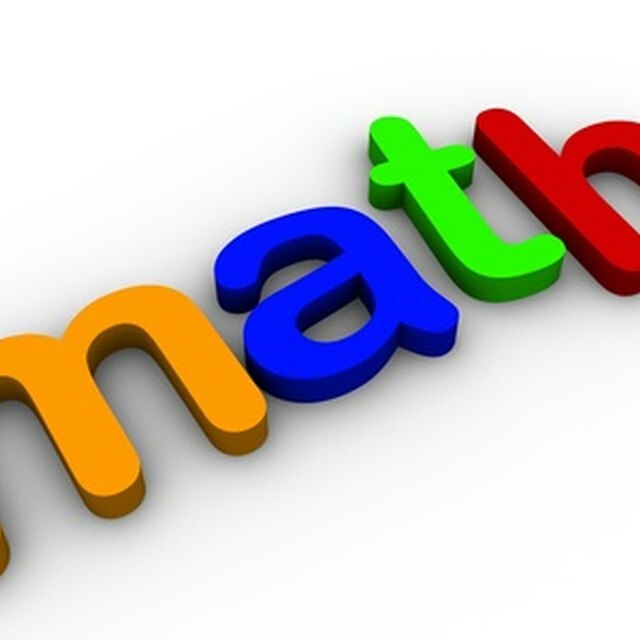 Multiply the amount of numbers in the series by the sum obtained from each column addition. For example, you multiply 10, the amount of numbers from one to 10, by the average sum of 11, obtaining 110. Divide the product by two. For example divide, 110 by two. This will result in 55. This is the sum of the given numbers. Square both the first and last number of the sequence. For example, if the numbers are one through 10, square 10, giving you 100, and square one, giving you 1. Subtract the first square from the last. For example, subtract one from 100, giving you 99. Add the first and last digits together. Add that sum to the squared difference. For example, add one and 10 together to get 11. Add 11 to 99. You will get 110. Divide the sum by two. For example, divide 110 by two. You will obtain 55. This is the sum of the numbers. E., Chance. "How do I Find the Sum of Numbers?" Sciencing, https://sciencing.com/do-sum-numbers-6894180.html. 13 March 2018.